Gustav Holst – English composer, arranger, and teacher. Known primarily for his popular orchestral composition, Gustav Holst was born on September 21, 1874, Cheltenham, Gloucestershire, England. He was an English composer, arranger, and teacher. Best known for his orchestral suite The Planets, he composed a large number of other works across a range of genres, although none achieved comparable success. His music combines an international flavor based on the styles of Maurice Ravel, Igor Stravinsky, and others with a continuation of English Romanticism. A renowned composer, who is recognized today as the composer of ‘The Planets’, Gustav Holst exerted a major influence on the rock music of the mid 20th century. He was one of those few men who was referred to as post romantics. Along with his friend Vaughan Williams, he shared a common interest in English folk song and helped in the advancement of English orchestral music to leap beyond the boundaries of England. Holst excelled in all the areas, which he touched; he was not only a great composer but also a gifted teacher who passed on his legacy of music to the posterity. Unlike his contemporaries, an eastern influence made his music unique and distinct. There were professional musicians in the previous three generations of Holst’s family and it was clear from his early years that he would follow the same calling. He hoped to become a pianist but was prevented by neuritis in his right arm. Despite his father’s reservations, he pursued a career as a composer, studying at the Royal College of Music under Charles Villiers Stanford. Unable to support himself by his compositions, he played the trombone professionally and later became a teacher a great one, according to his colleague Ralph Vaughan Williams. Among other teaching activities, he built up a strong tradition of performance at Morley College, where he served as musical director from 1907 until 1924, and pioneered music education for women at St Paul’s Girls’ School, where he taught from 1905 until his death in 1934. He was the founder of a series of Whitsun music festivals, which ran from 1916 for the remainder of his life. Holst’s forte extended from operas to chamber music to vocal and orchestral music, Sanskrit literature, astrology and more, thanks to his innovative and intriguing mind. No wonder Holst occupy an individual place in the history of 20th-century music. The Planets, Gustav Holst embraced a wide variety of musical models, from Arthur Sullivan, Edvard Grieg, and Wagner to the melodic simplicity of English folk music. In his maturity, he managed to merge these various influences into a rather sparse personal style that became increasingly transparent in his later years. Gustav Holst, original name Gustavus Theodore Von Holst, also called Gustav Theodore Holst, was born on September 21, 1874, in Cheltenham, Gloucestershire in England as the first of two children to Adolph and Clara Von Holst. His father, Adolph was an established pianist, who taught and spent much of his time practicing piano, much to the disregard of his wife, Clara, and two children. Having a Swedish origin, one of Adolph’s ancestors served as a court composer in Russia till he fell out of favor and exiled to Germany. Soon, the family migrated to England. His mother had Spanish origin; her great grandmother married an Irishman and moved to Ireland. Holst’s first instruction came from his father, Adolph, a piano teacher, who also made him take lessons on the violin and trombone; the father believed that these studies might alleviate the youth’s asthma. Gustav Holst got his education from Cheltenham Grammar School for Boys. In the school, he started composing, writing piano pieces, songs, organ voluntaries, anthems, and symphonies. He was also an organist and a choirmaster at Wyck Rissington in the Cotswolds. After Holst left school in 1891, Adolph paid for him to spend four months in Oxford studying counterpoint with George Frederick Sims, organist of Merton College. On his return, Holst obtained his first professional appointment, aged seventeen, as organist and choirmaster at Wyck Rissington, Gloucestershire. The post brought with it the conductorship of the Bourton-on-the-Water Choral Society, which offered no extra remuneration but provided valuable experience that enabled him to hone his conducting skills. In November 1891 Holst gave what was perhaps his first public performance as a pianist; he and his father played the Brahms Hungarian Dances at a concert in Cheltenham. The programme for the event gives his name as “Gustav” rather than “Gustavus”; he was called by the shorter version from his early years. He studied at the Royal College of Music in London. His solo instrument was the trombone, and for some years after leaving the college he made his living as a trombone player in the Carl Rosa Opera Company and in various orchestras. He became music master at St. Paul’s Girls’ School in 1905 and director of music at Morley College in 1907. These were the most important of his teaching posts, and he retained both of them until the end of his life. On June 22, 1901, Gustav Holst married Emily Isobel Harrison, whom he had met in a choir he had directed a few years before. Their marriage lasted until his death; there was one child, Imogen, born in 1907. By age 12, the young Holst was composing, even dabbling in orchestration; in 1888, he won a prize in an amateur competition for his vocal work, A Christmas Carol. Thereafter he sang in the All Saints’ Church choir and played violin and trombone in its orchestra. In 1892, he traveled to London and heard a Covent Garden performance of Götterdämmerung, led by Mahler. The experience opened up new compositional vistas for the young composer. In 1892 Holst wrote the music for an operetta in the style of Gilbert and Sullivan, Lansdown Castle, or The Sorcerer of Tewkesbury. The piece was performed at Cheltenham Corn Exchange in February 1893; it was well received and its success encouraged him to persevere with composing. He applied for a scholarship at the Royal College of Music (RCM) in London, but the composition scholarship for that year was won by Samuel Coleridge-Taylor. Holst was accepted as a non-scholarship student, and Adolph borrowed £100 to cover the first year’s expenses. It was from here that in 1895, Holst met fellow student Ralph Vaughan Williams, who became his all-time friend. Though the type of music both followed was quite different, they shared a healthy friendship, both personally and professionally. Vaughan praised Holst’ work wholeheartedly which resulted in both men developing a shared interest in exploring and maintaining the English vocal and choral tradition, primarily found in the folk song, madrigals, and church music. They also started healthy criticism on each other’s work when they were writing and never lost the mutual trust. By 1897, his first work as a student was ready ‘Winter Idyll’ in which the influence of Wagner, Mendelsohn, and Grieg was visible. By then, he was playing trombone in theatre orchestras and organs in churches in London. In the following year, he was offered an appointment as the first trombone from Carl Rosa Opera Company, which resulted him in leaving the Royal College of Music regretfully. It was in the year 1895 that he was attracted towards Sanskrit literature and Hindu philosophy. He yearned to set some hymns from Rig Veda to music. As he found the English translations hopeless, he decided to learn Sanskrit, which opened a new world for himself. 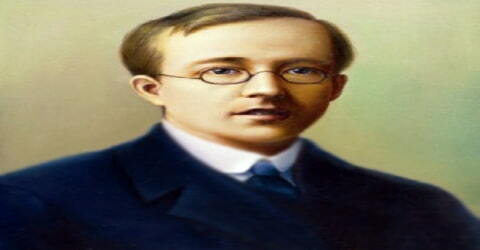 To study Sanskrit, Holst enrolled at University College London (UCL) to learn the language as a ‘non-matriculated’ student. 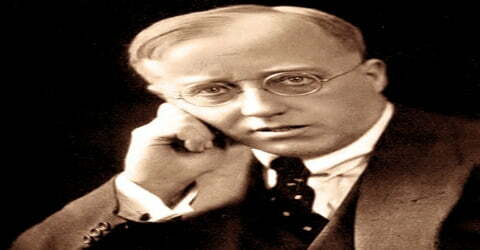 In 1898, Holst left the RCM to take a position in the Carl Rosa Opera Company as a rehearsal pianist and coach. He completed his Cotswold Symphony in 1900, and its premiere in April 1902 was a success. Some of his compositions were published and performed; the previous year The Times had praised his song “Light Leaves Whisper”, “a moderately elaborate composition in six parts, treated with a good deal of expression and poetic feeling”. From the years 1899 to 1906, Holst worked on an opera ‘Sita’, which was based on the epic Ramayana. Though the work was never performed in his lifetime, it made his musical style becoming more direct. In 1900, Holst wrote an elegy ‘Cotswold Symphony’ in memory of William Morris and also completed ‘Ave Maria which was his first published work. In 1903, he also penned ‘Indra’ which is a symphonic poem, narrating the vivid portrait of God, Indra and his battle with the drought. His other Sanskrit works include ‘Sâvitri’ (1908), a chamber opera based on a tale from the Mahabharata; 4 groups of Hymns from Rig Veda (1908–14); and two texts originally by Indian poet Kalidasa – Two Eastern Pictures (1909–10) and The Cloud Messenger (1913). In 1902 Dan Godfrey and the Bournemouth Municipal Orchestra premiered Holst’s symphony The Cotswolds (Op. 8), the slow movement of which is a lament for William Morris who had died in October 1896, three years before Holst began work on the piece. Holst and his wife decided, as Imogen later put it, that “as they were always hard up the only thing to do was to spend it all at once on a holiday in Germany”. While in Germany, Holst reappraised his professional life, and in 1903 he decided to abandon orchestral playing to concentrate on composition. In late 1903, Holst took on a teaching position at James Allen’s Girls’ School, in South London. The following year he acquired a second post, the directorship of music at St. Paul’s Girls’ School, which he would retain until his death. He added another teaching post at Morley College in 1907, bogging him down and leaving little time for composition. Still, the St. Paul’s Suite, written during this period (1912-1913), is among his most often-performed works. Many of Holst’s smaller choral works, folk-song arrangements, and instrumental pieces (e.g., the St. Paul’s Suite for strings -1913) reflect the musical interests he sought to promote as a teacher. In this activity, he shared much common ground with Ralph Vaughan Williams, his friend, and contemporary. Holst’s stubbornly independent, exploring mind had a need, however, of a musical language less limited and more flexible than that offered by the English folk-song school. He found fresh creative stimuli in the new European music (e.g., the innovations of Stravinsky), whose impact Holst registered in his orchestral suite The Planets (1918); and also in Hindu literature, which gave rise to his “Sanskrit” period (1908–12), during which he composed the opera Savitri and four sets of choral hymns from the Ṛigveda. The cosmopolitanism of Holst’s style, rare in English music of his period, lends him a special historical significance. 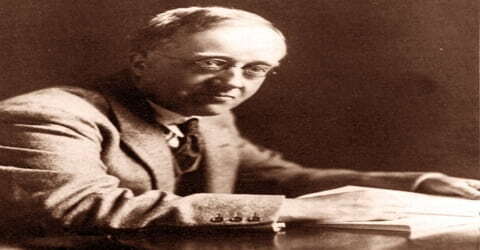 In 1908, Holst traveled to Algeria on doctor’s orders for treatment for asthma and also due to a depression which crippled him after he failed to win the Ricordi Prize, a popular honor for composition. After an indifferent response to his choral work ‘The Cloud Messenger’ in 1912, he traveled to Spain along with fellow composers Balfour Gardiner and brothers, Clifford and Arnold Bax. In 1913, Stravinsky’s ‘The Rite of Spring’ sparked riots in Paris and caustic criticism in London. In the following year, Gustav heard Schoenberg’s ‘Five Pieces for Orchestra’. These two works influenced Gustav’s work on ‘The Planets’. Holst’s compositions at this time include works for ‘wind band’ which set the standards in the repertoire. His well-known works at this time are ‘First Suite in E-flat for Military Band’ (1909) and ‘Second Suite in F for Military Band’ (1911). He also wrote the ‘Moorside Suite’ for brass band in 1928. Following this, Holst also started working on his most famous work ‘The Planets’. Holst’s a cappella carol, “This Have I Done For My True Love”, was dedicated to Noel in recognition of his interest in the ancient origins of religion (the composer always referred to the work as “The Dancing Day”). It received its first performance during the Third Whitsun Festival at Thaxted in May 1918. During that festival, Noel, a staunch supporter of Russia’s October Revolution, demanded in a Saturday message during the service that there should be a greater political commitment from those who participated in the church activities; his claim that several of Holst’s pupils (implicitly those from St Paul’s Girls’ School) was merely “camp followers” caused offense. Holst, anxious to protect his students from being embroiled in ecclesiastical conflict, moved the Whitsun Festival to Dulwich, though he himself continued to help with the Thaxted choir and to play the church organ on occasion. 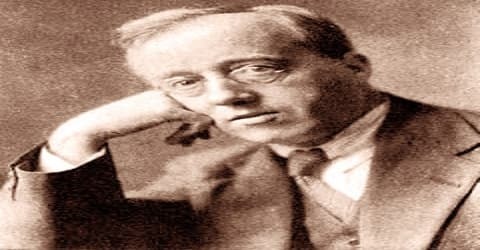 During World War I, Holst tried to enlist himself but was rejected due to his poor eyesight and the bad condition of the lungs. In 1916, he dropped ‘von’ from his name in response to the anti-German sentiment. However, his music benefitted due to the growing popularity of English music. 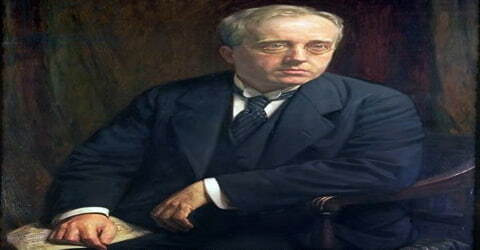 Towards the end of the war, Holst was offered a post in YMCA’s educational work programme as music director. During this time ‘The Planets’ was performed in London. In 1917 he wrote The Hymn of Jesus for chorus and orchestra, a work which remained unperformed until after the war. Gustav also taught music to army troupes on a trip to Salonica (present-day Thessaloniki, Greece) and Constantinople (now Istanbul) in 1918. After he returned, Holst composed ‘Ode to Death’, which is based on a poem by Walt Whitman. Holst returned to London at the end of June 1919 and took a prestigious post teaching theory and composition at the RCM in 1920. The composer’s fame was not only growing domestically in the early 1920s but internationally as well, as works like the Hymn of Jesus were receiving regular and acclaimed performances. By 1924, Holst’s health was clearly declining, and he thus lessened his workload. Holst’s comic opera The Perfect Fool (1923) was widely seen as a satire of Parsifal, though Holst firmly denied it. The piece, with Maggie Teyte in the leading soprano role and Eugene Goossens conducting, was enthusiastically received at its premiere in the Royal Opera House. 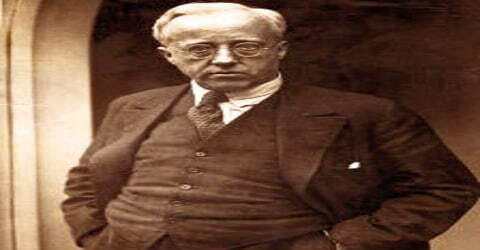 At a concert in Reading in 1923, Holst slipped and fell, suffering a concussion. He seemed to make a good recovery, and he felt up to accepting an invitation to the US, lecturing and conducting at the University of Michigan. After he returned he found himself more and more in demand, to conduct, prepare his earlier works for publication, and, as before, to teach. The strain caused by these demands on him was too great; on doctor’s orders he canceled all professional engagements during 1924 and retreated to Thaxted. In 1925 he resumed his work at St Paul’s Girls’ School but did not return to any of his other posts. In such works as Egdon Heath for orchestra (1927), the Choral Fantasia (1930), and the Fugal Concerto for flute, oboe, and string orchestra (1923), Holst anticipated many trends associated with later English composers who were to turn away from the self-consciously national style bred by the folk-song revival. Holst’s retirement resulted in ‘First Choral Symphony’ to words by Keats. A short Shakespearian opera, ‘At the Boar’s Head’, followed quickly, though neither had the instant popular appeal of ‘A Moorside Suite for Brass Band’ of 1928. 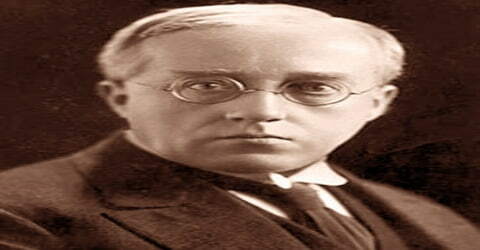 Holst also publicized his work through sound recordings and wireless broadcasts of BBC. He conducted London Symphony Orchestra for Columbia company in 1922 with the help of acoustic process. In 1927, he was commissioned by the New York Symphony Orchestra to write a symphony though he wrote an orchestra based on Thomas Hardy’s ‘Wessex’. The work ‘Egdon Heath’ was purely reviewed and was performed a month after Hardy’s death. Holst regarded it as his best work. His works include the opera Sita, composed during 1899–1906; The Hymn of Jesus, for chorus and orchestra (1917); Ode to Death, for chorus and orchestra (1919); The Perfect Fool, an opera (1923); Choral Symphony (1923–24); the opera At the Boar’s Head (1925); Double Concerto for Two Violins and Orchestra (1929); and Hammersmith, for orchestra (1930). Gustav Holst died in London on 25 May 1934, at the age of 59, of heart failure following an operation on his ulcer. His ashes were interred at Chichester Cathedral in Sussex, close to the memorial to Thomas Weelkes, his favorite Tudor composer. Bishop George Bell gave the memorial oration at the funeral, and Vaughan Williams conducted music by Holst and himself. As Holst was always interested to be part of new mediums, he wrote a score for ‘The Bells’ though the film became a victim of poor marketing and no copy of the film is traced. Gustav also wrote ‘Jazz band piece’ which his daughter arranged for orchestra. In 1932, a late pinnacle in academic life came when Harvard University offered him a lectureship for six months. One of his last works, ‘Brook Green Suite’, named after the land on which St Paul’s Girls’ School was built, was performed a few months prior to his death. Gustav Holst made some recordings, conducting his own music. For the Columbia Company, he recorded Beni Mora, the Marching Song and the complete Planets with the London Symphony Orchestra (LSO) in 1922, using the acoustic process. The limitations of early recording prevented the gradual fade-out of women’s voices at the end of “Neptune”, and the lower strings had to be replaced by a tuba to obtain an effective bass sound. With an anonymous string orchestra, Holst recorded the St Paul’s Suite and Country Song in 1925. Columbia’s main rival, HMV, issued recordings of some of the same repertoire, with an unnamed orchestra conducted by Albert Coates. When electrical recording came in, with dramatically improved recording quality, Holst and the LSO re-recorded The Planets for Columbia in 1926. 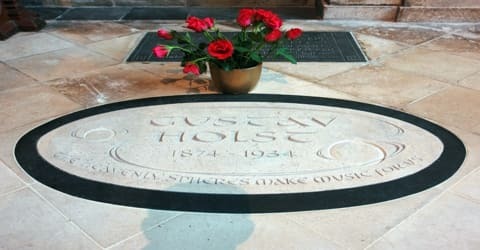 On 27 September 2009, after a weekend of concerts at Chichester Cathedral in memory of Holst, a new memorial was unveiled to mark the 75th anniversary of the composer’s death. It is inscribed with words from the text of The Hymn of Jesus: “The heavenly spheres make music for us”. In April 2011 a BBC television documentary, Holst: In the Bleak Midwinter, charted Holst’s life with particular reference to his support for socialism and the cause of working people.